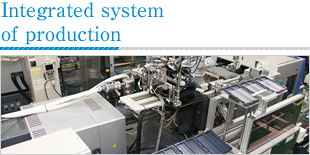 Using advanced simulation software, Nalux eliminates production problems in the design phase. 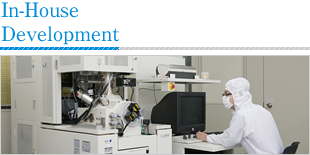 Nalux can achieve optical surfaces with accuracies in the nanometer range. Nalux's highly automated production system provides superior process control resulting in repeatable high quality molded parts. Nalux's engineering staff uses our sputter and CVD coating equipment to provide advanced multi-layer optical coatings. 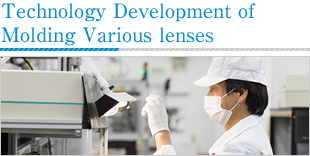 Nalux optics enable products in the most technically advanced industries including Automotive, Healthcare and ICT. Nalux's state of the art production system integrates optical and part design, advanced mold construction methods, and precision molding to yield optics with superior performance. Nalux builds its own in-line inspection equipment to ensure timely product inspection and rapid reaction to any quality issues. We would like to invite you to visit our exhibit booth (# H-8) at LENS EXPO in the Pacific YOKOHAMA, Japan. Our sales and technical staff members will be at our booth to discuss your current and future requirements. We would like to invite you to visit our exhibit booth at Photonics West 2019 in the Moscone Center in San Francisco, California USA on 5.Feb. - 7. Feb.
Our sales and technical staffs will be at our booth to discuss your current and future requirements. and we'd be pleased to have a private meeting with you on-site anytime at your convenience. We would like to invite you to visit our exhibit booth at IR Array Sensor Forum 2018 in Japan. We would like to invite you to visit our exhibit booth (# I-6) at LENS EXPO in the Pacific YOKOHAMA, Japan. in the Moscone Center in San Francisco, California USA during the week of January 31, 2017.